The U.S. Consumer Product Safety Commission (CPSC) estimates that 15,000 people end up in the ER every holiday season because of injuries sustained while decorating for the holidays. That sobering statistic doesn’t include injuries related to cooking accidents, car crashes and winter sport injuries! 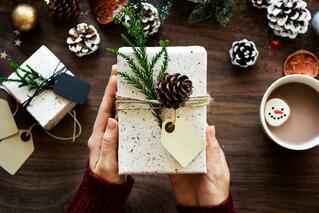 The CPSC offers these tips to help you avoid being the victim of a holiday mishap. Check the ladder’s label to make sure you don’t exceed the weight limit. Inspect the rungs before you climb to be sure they are solid and dry. Make sure the ladder is on even, solid footing before you climb. Have someone hold the ladder steady. Use sturdy, uncluttered candle holders. Keep your hair, loose clothing, curtains, stockings and kids away from flames. Check each set of lights for broken or cracked sockets, frayed or bare wires or loose connections. 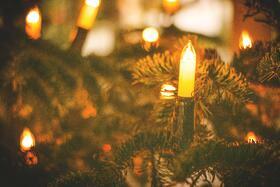 Don’t use more than three standard-size sets of lights per single extension cord. Turn off all lights when you leave the house or go to bed. Dispose of fresh trees that are past their prime. Other Decorating Dangers: “Angel hair” or tinsel is made from spun glass, and it can irritate your eyes and skin. Always wear gloves when handling it or substitute it for non-flammable cotton. Artificial snow on windows or other surfaces can irritate your lungs. Follow the instructions and ventilate the area. Certain seasonal plants — think poinsettias — can poison kids and pets. Keep them out of reach and immediately dispose of fallen leaves.